POTUS says fighting for family issues is our responsibility, too. He’s right. On Tax Day 2015, the world’s most powerful man traveled to Charlotte, North Carolina, to devote 80 minutes to listening to American women talk about their economic prospects, and, by extension, their loved ones. 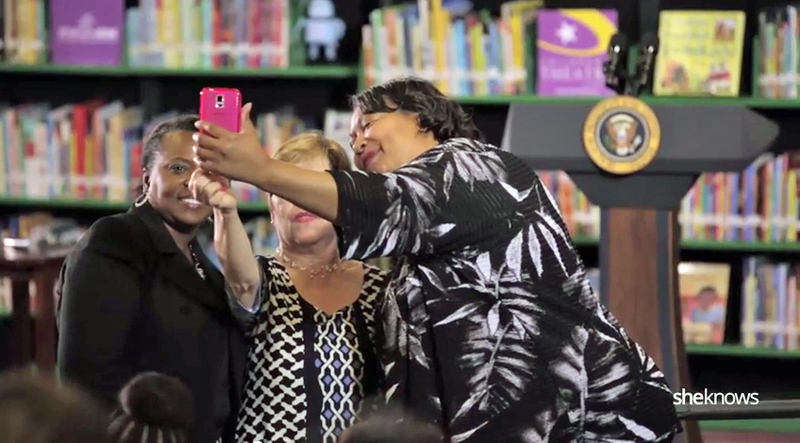 The event was billed as a “Working Mothers Town Hall,” and the president was indeed surrounded by colorful children’s books and plush stuffed animals. But Barack Obama called out tax cuts, equal pay for equal work, child care, college debt and maternity leave as “family issues,” not issues just for women. However, the president did have a challenge in the form of a question for women bloggers and social media influencers who attended, in person and online: How are we prepared to share stories about these issues and even take action in specific cities and communities? After brief opening remarks on “middle-class economics” and tax cuts he said will reduce taxes for 44 million taxpayers, the president listened attentively to questions where women expressed some of the same frustration I observed in the answers to a survey SheKnows Media fielded in the days leading up to the town hall meeting. In this online survey, 89 percent of women named the Paycheck Fairness Act as a top five legislative priority, even though fewer than half said they had experienced discrimination due to gender or race. At the town hall, women voiced concerns including child care costs, maternity leave, early childhood education, college costs, family-friendly flexibility, wage increases and tax cuts, to name a few. “Before we were in the White House, I wanted to make sure Michelle got paid as much as she could. I want a big paycheck for Michelle. That wasn’t a women’s issue. If she had a bigger paycheck, that made us able to pay the bills. Why would I want my spouse or my daughter discriminated against? That doesn’t make any sense.” ~ President Obama, #ObamaTownHall, April 15 (you can watch the full video here). For me as moderator, the president’s skillful blend of warm, personal anecdotes with factual data to advocate for his policy recommendations went as I expected—he enjoys a natural grace with voters and with cameras; what could go differently? Here’s what I did not expect: The commander-in-chief invoked the role community participation played at a pivotal moment in U.S. history. Specifically, President Obama used the context of the historic march to Selma to segue to his own question: What opportunity do American women have right now to lead working- and middle-class families to change government and employer policies on “family issues”? Here’s the context — forgive me, this excerpt is long but worth it: American women across the board have to lead working- and middle-class families to a sea change on issues dismissed by some as women’s only for years. * We want better solutions from our government and from our employers to help us do that. Ms. Fiorina’s solutions are different from the president’s, but she, too, sees the need for change. Our community is capable of helping lead change: We’ve built a massive for-profit publishing business on the proven fact that women inspire women, and sharing our stories does make a difference. The sense of frustration and clear declaration of unfairness voiced by many women at the town hall meeting and in our online surveys indicates that the next session of Congress and the 2016 election is happening at an auspicious time. For so long, women have been asking to put these issues front and center. Is it now time to stop asking and start demanding?